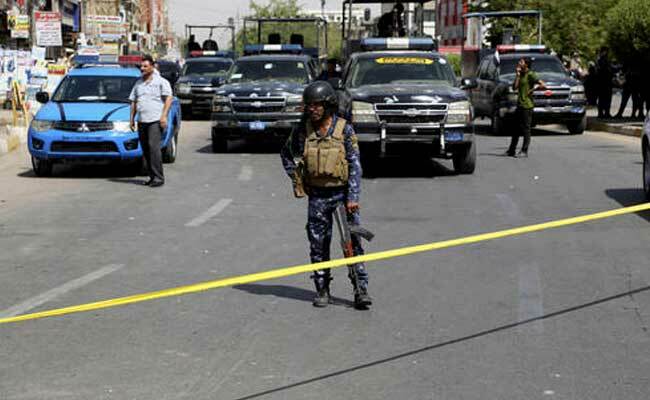 BAGHDAD: A suicide bombing targeting a funeral gathering in northern Baghdad Saturday killed at least 35 people and left another 63 wounded, Iraqi police and hospital officials said. The attack occurred at around lunchtime, the officials said, speaking on condition of anonymity because they were not authorized to brief the media. There was no immediate claim of responsibility for the attack, which comes as Iraqi security forces are preparing for an operation to retake the terrorist-held northern city of Mosul, the country’s second largest city, from the ISIS. In the past the ISIS has increased insurgent attacks inside government-held territory far from the front lines after suffering territorial losses on the battlefield. Iraq has seen several bombings in recent months, though most have had lower death tolls than Saturday’s attack. In July, a massive car bomb in central Baghdad’s popular shopping district of Karradah killed about 300 people and forced the resignation of the country’s interior minister.